Planning a screening is a lot less overwhelming when you clarify your objectives, identify your audience, and hash out the logistical details. If you’ve never hosted a screening before or planned an event, don’t worry! It’s not as hard as you might think, and the experience is very rewarding. We’ve outlined the basic steps below to help get you on your way. The first steps involve identifying your goals and audience, which will help you determine the best format and venue for your screening. Are you looking to raise money for a cause? Are you part of an organization that wants to generate awareness for your work? Perhaps you’re a fan of the film who simply wants to bring it to your community in a way that pays for itself. Consider inviting a high profile speaker or local expert to engage the audience in discussion after the film. Transplant recipients and CF patients from your community are a great way to localize and personalize the issues too. Once you’ve figured out what outcomes you’re looking for, strategies to achieve them start falling into place. Check out the Screening Checklist in the Screening Guide to help you set up and manage your event. We’ve also included a 6-week Planning Checklist that puts many of the important tasks on a timeline counting down to the big event. Promoting your event is a big part of hosting a successful screening! Getting the word out about your screening in local media, online and in the community will help you reach a wider audience and generate buzz. Setting up community partner relationships can also let you tap into other networks. For example, reach out to your local CF and transplant organizations, support groups and any others who might be interested in the film (e.g. nursing and medical schools, film schools and clubs, professional associations). You could offer to help them connect to your audience at the screening in exchange for their help in promoting your event. If you’re not sure where to start, check out the Promotion Tips page, which outlines effective strategies for offline, online and media promotion. 3) Enjoy Your Big Day! After all your preparation, the screening itself will be a fun and engaging event with interested supporters from the community. Enjoy it! It’s a good idea to give a short introduction before the film starts and let your audience know what to expect. If you’re having speakers after the screening, encourage them to stick around. Holding a post-speaker prize draw based on seat selection or ticket stubs can be excellent incentive! If you’re having a discussion following the film screening, or are hoping that the film will generate a response from the audience, take a look at the Generating Discussion & Dialogue section of the Screening guide for sample questions and facilitation tips. After your screening, take time to speak with any co-organizers, staff, and volunteers about the event and reflect on your experiences. Review your goals and determine whether they were met. Perhaps new and unexpected ideas may have emerged at the screening from the audience members themselves. Use this debriefing session to discuss how best to tap into the available resources and interest that your screening has generated, and how to work with your community to build something new and exciting. Sharing the story of your screening can be as valuable as the screening itself. 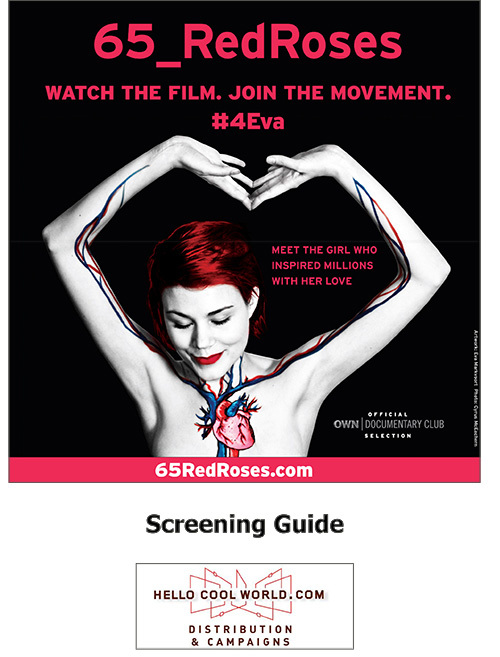 Getting the news out and sharing the lessons learned builds momentum for the movement, encourages conversation about organ donation, and creates higher visibility for future screenings and events. Connect with us on Twitter and Facebook, and we'll help spread the word.